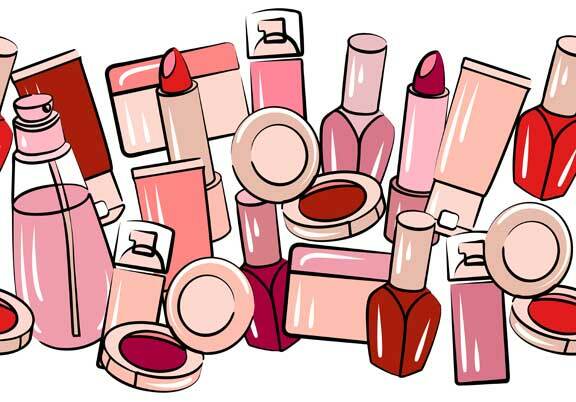 We all have them – drawers full of cosmetics that looked fab in the store but flopped at home. But it’s easy to salvage all mistakes. In fact, makeup pros customize colors and textures all the time, so why don’t you do the same? Here is a super-simple cheat sheet to take care of all those lipsticks and nail polishes that are gathering dust. Enjoy! If its nail color that’s a problem, layer two complementary nail polishes to achieve your own customized look. Go for glam by adding texture, such as a sprinkle of glitter, shimmer or a colored powder blusher over your nail enamel as it dries. Not getting enough use from that white eye-shadow? Make it multi-task: to make your colored eyeliner really pop, use an angled liner brush to apply a thin line of white eye-shadow and then overlay it with your colored eyeliner (or use the angled liner brush again to apply a line of colored eye-shadow). If an over-heavy or too-dark foundation is your problem, mix it with a little moisturizer. This will thin out the foundation, making it easier to blend into your natural skin tone without visible tread marks. Yes, even I have loads of cosmetic, some even I won't use.. It is really challenging to move on with the latest trends, this re-cap is precious.